Delicate birds and butterflies can be added to our flower patches for sumptuous detail. Adored by party planners, this look always get a huge response from audience members. As with all our details patches, light has been worked into the patch for night time performance. 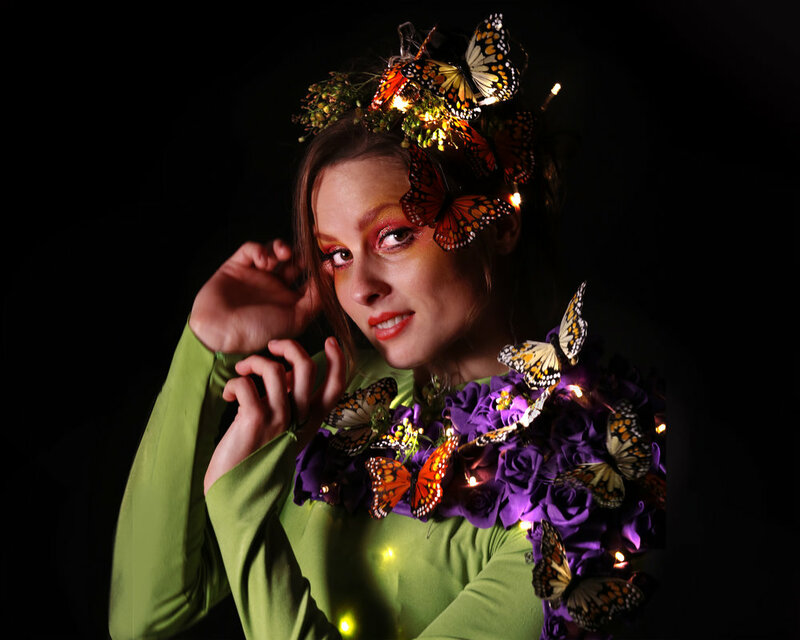 Lovely with a colourful ribbon, an illuminated lantern or performed by our flag dancers for all sorts of insect, nature and summer themed entertainment. This look has been a huge hit at a versatile range of events, from after dinner wedding entertainment to family fun day performance. It has proved to be a great starting place for our clients seeking Asian wedding entertainment ideas, due to the versatile nature of the bouquet.